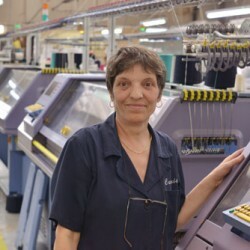 Curzonia operates fully computerised Stoll machines which allow us to create any knitted garment in 5 to 12 gauge to exacting quality requirements. Our ultra-modern plant is located in Romania where we undertake all our knitting, cutting, construction, and quality control processes. 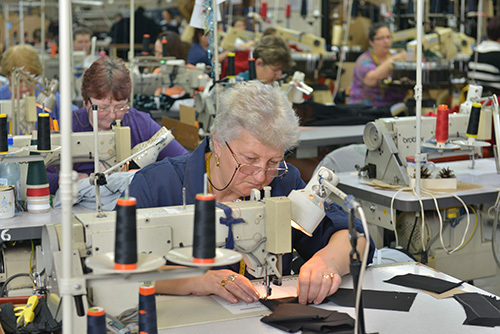 Our construction practice copes with linking, lockstitching, over-locking and twin-needle stitching to produce our renowned quality garments. In addition to our high-tech production facilities, we undertake and oversee our own yarn spinning and dyeing on site. 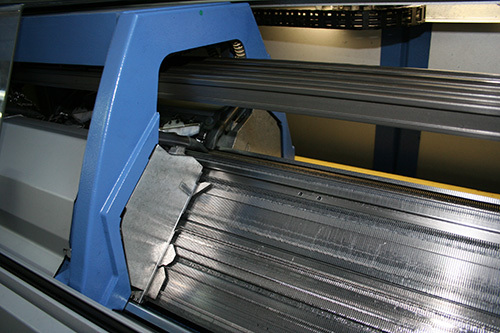 This allows us to control the entire process and meet customer objectives with exacting colour matches and finished products. We use network-ready high-quality Barudan embroidery machines for their exceptional production speeds, positive needle-drive technology and high-quality stitching. We work with customer artwork to design and produce specific embroidery using high-quality Madeira threads, or offer a full design and development service. What is your job here? Cutting Department How long have you worked with Curzonia? 12 Years What do you like best about your job? Producing nice finished garments What things are you most proud of? My child is my greatest achievement How would your closest friend describe you? Cheerful and a hard worker What is the best thing about living in Romania? That I am still living! What is your job here? Final check How long have you worked with Curzonia? 2 Years What do you like best about your job? When my bosses appreciate what I’m doing! What things are you most proud of? When my family is happy How would your closest friend describe you? I’m not sure! What is the best thing about living in Romania? Everything!